Where DOES the moon go every day? Even older kids might be surprised to realize it is still there in the sky somewhere. 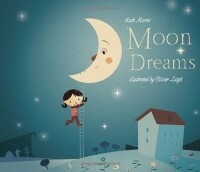 Luna, who loves the moon, struggles to find it, once the day has dawned.